This stands as one of our most important Archival interviews, We discussed many endtime topics and delusion. Don't miss this one! Warn Radio welcomes Guest Michael S. Heiser Ph.D. to the show. 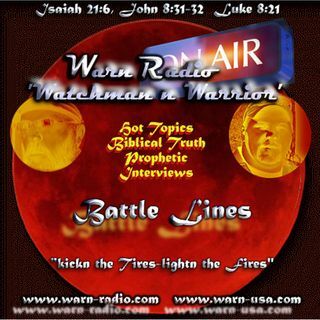 Mike and the Watchman discuss end time delusions, the anti-Christ, tribulation, and more. Today’s show on the heralded "Mayan Apocalypse” brings to light many types of delusions and also the church whose ... See More own expectations can lead them into delusion. This is an important show which will waken up your spiritual and biblical senses to the unseen reality which is seen today. We had many topics on the show tonight but could not cover them all. These are among the topics: Mayan, Apocalypse, end of days, Sitchin, Nibiru, 12th planet, UFO's, Aliens, Demonic, Anunnaki, Nephilim, Elohim, Ancient Astronauts, Sirus Mystery. The last time Mike was on was some 5 years or so ago. His first interview we did was on the Nephilim and Genesis account. need yor audio guy to clean up this recording.